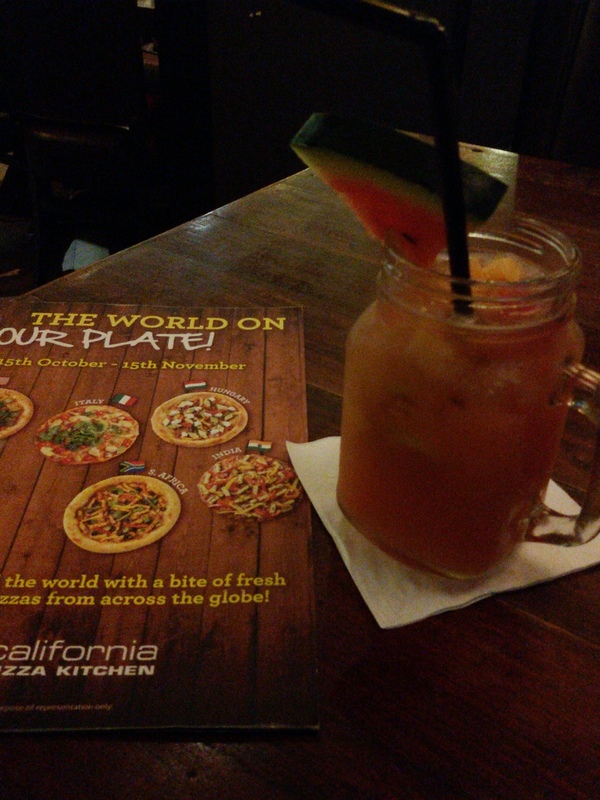 Endowed with an adventurous palate, I embarked upon a gastronomic journey last night at California Pizza Kitchen at Infiniti Mall Malad, Mumbai. After all it was an exciting Pizza Trail with pizzas from across the world! Sipping our Malta & Pom and Melon Duo, in virgin avatars, we were sufficiently rejuvenated and got a respite from the humidity outside. The menu looked interesting. 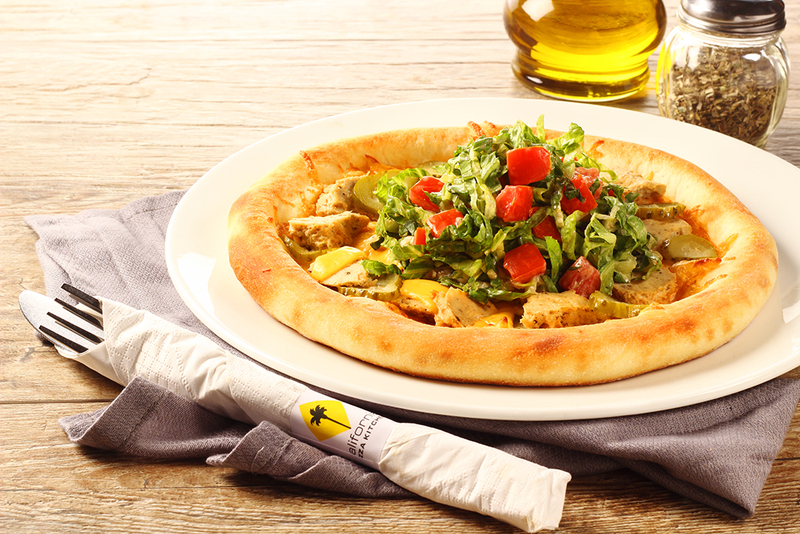 A variety of Pizzas from all over the globe, highlighting the varied flavours of each country. 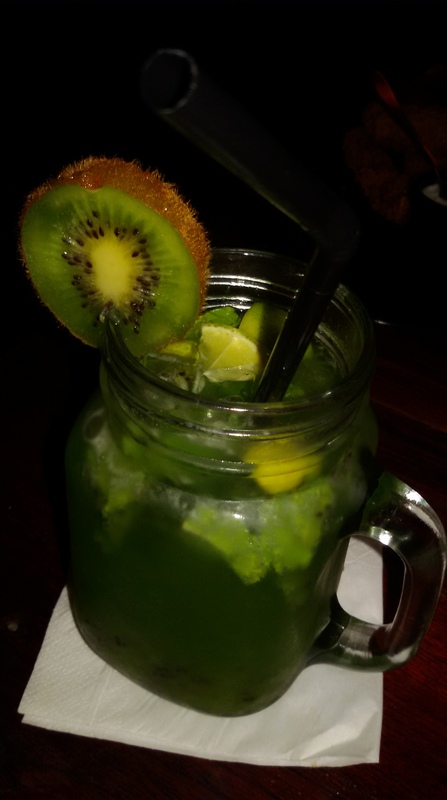 Our drinks were well-made, with liberal amount of fresh fruit pieces, fresh juice et al, creatively served in jars. Value for money, all the way! To begin with, we settled for the Lebanese Grill chicken. The succulent pieces of chicken were flawless in texture and flavour and grilled to perfection. The marinade too was distinct, as were the herbs. Yet, it was a tad bland for my palate. The Charmula fried fish gave me no scope for disappointment. Crisply fried, the fillet was melt in the mouth and the accompanying lime cream sauce added the right amount of zest. The Cheeseburger pizza was strongly recommended by the chef. We complied. And it was a great choice. Laden with the goodness of cheese, it was like having a burger in a Pizza form. Delectable. The chicken cubes, generously layered, added to the experience. As a Vegetarian option, we opted for the Thai curry pizza. While the characteristic Thai flavours were pronounced, something seemed missing in this one and it failed to tease my taste buds. Perhaps it was a bit too dry? I loved the presentation though. Of course there were a host of exciting options on the menu that Pizza lovers can choose from. Verdure from Italy or Peri Peri from South Africa, in vegetarian and non vegetarian versions. 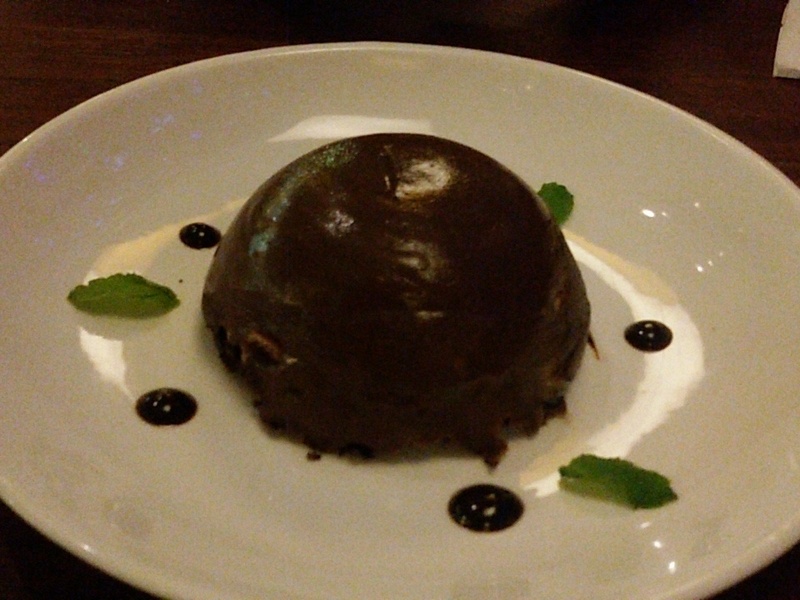 The Banoffee Bombe was an absolute treat and exploded in my mouth, quite literally. A rather large serving and filled with chocolate and coffee mousse, banana and dulce de leche cream. The marriage of flavours couldn’t be more heavenly. The mousse was creamy, soft and just the way it should be. The banana flavours were not overpowering and enhanced the taste of this otherwise, sinful dessert. The prompt and courteous staff at CPK is always a delight to have around. This is my favourite outlet. The ingredients used struck me as fresh, of the finest quality and the variety, mind-boggling. An enjoyable bit of globe-trotting, I indulged in.